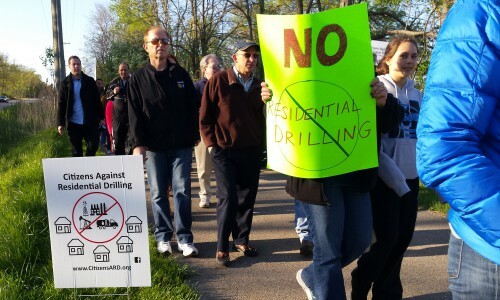 In addition to the updates below, more information from the Shelby Township group, Citizens Against Residential Drilling (CARD), can be found at their web site: www.citizensard.org and Facebook page. Scroll to bottom of page to see interactive map. CARD has scheduled another against residential oil drilling. TONIGHT, Thursday, at 7 PM. Channel 4 – WDIV Detroit news will be there. Bring your families and speak up for what you believe in. Check Facebook page for any last minute updates including location. 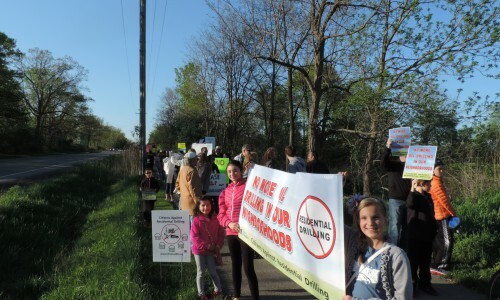 The Shelby Township group, Citizens Against Residential Drilling (CARD), organized a protest of about 100 residents from Shelby Twp, Rochester, and Rochester Hills attended. They picketed in front of the access road leading to the oil well which was guarded by 3 police cars. It was a peaceful, but vocal protest. 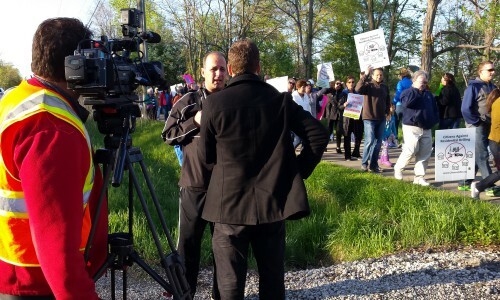 Channel 7 – WXYZ news camera and reporter captured the event and interviewed residents. West Bay Exploration begins construction of the “completion well” at the site located in the residential area. “The Shelby Township Board of Trustees has long maintained that the proper way for West Bay Exploration Co. to communicate and coordinate with our residents is through a public hearing with our Board of Trustees at one of its regularly scheduled, televised meetings,” Stathakis said. “Testing the well is required to determine whether the well will continue to exist or whether it will be plugged and the landscape restored,” said Patrick Gibson, vice president of the West Bay Exploration Company. SHOULD RESIDENTS LIVING NEAR OIL WELLS HAVE AN EVACUATION PLAN? News post on Shelby Township website show correspondence between township officials and West Bay Exploration. 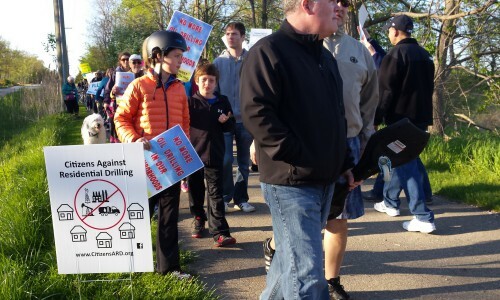 According to the Shelby citizen group CARD’s statement, although Shelby Township has put moratorium and ordinances in place, the oil company has chosen to ignore them and continue the oil exploration process, and without a requested prior public hearing. The company indicated it plans to explore for oil down the Tienken Road corridor. 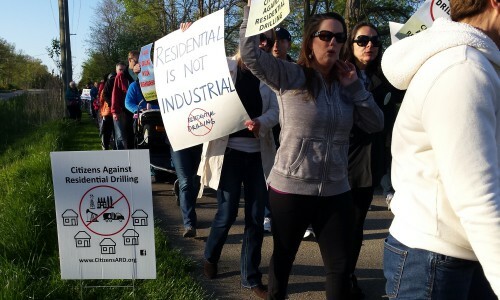 Given their areas of expressed interest and leasing activity, Rochester, Rochester Hills, and Auburn Hills will have oil and gas exploration activity like Shelby Twp… unless we put a stop to this. 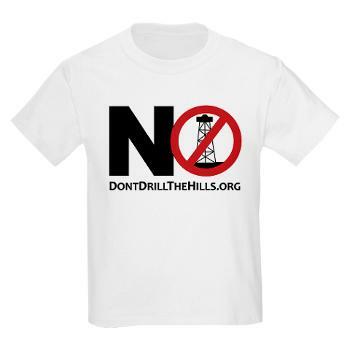 We do not want oil and gas exploration in high density residential or school areas. With your help, we will stop this. Click here to donate. 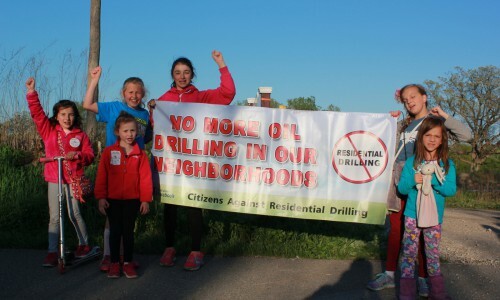 “Citizens Against Residential Drilling (CARD) has been informed by letter that West Bay Exploration will return as early as late next week to complete the “well completion” phase on the Nino Homes Well 1-6. This phase, according to officials, will involve an approximately 107 foot “completion” rig and utilize water and “acidizing” chemicals to “ stimulate” the target rock layer. (some would say fracking- like activities). CARD is terribly disappointed that West Bay has chosen to proceed despite the strong opposition from our citizens, state and locally elected officials regarding this well , placed on a residentially zoned property, and so close to our residential homes. 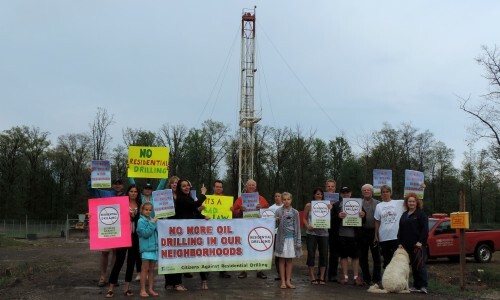 Although Shelby Township has moratoriums and ordinances in place , West Bay has chosen to ignore them and continue the process without following the requests for proper channels of procedures – a town hall public hearing prior to continuing their oil exploration activities . 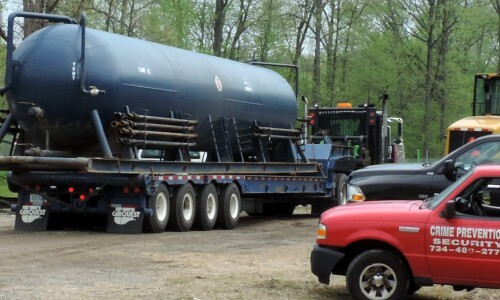 BREAKING NEWS: OIL WELL IS COMING to a subdivision in Shelby Township. Rochester Hills, Rochester, and Auburn Hills also targeted. Drilling method: Acid Matrix Stimulation – utilizes water and “acidizing” chemicals to “ stimulate” the target rock layer. In the interactive map below we identify the location of the oil well located in Shelby Township and depict the possible evacuation zone with a 1.5 mile radius from the site. The evacuation zone stretches from Shelby Township west into Rochester and Rochester Hills, and north into Stony Creek Metropark. We cannot allow oil drilling in our family’s environment. It is not safe for our future air, water, and overall safety. People and our future needs to be put first, that is the bottom line! The drilling is located a few hundred yards behind our subdivision and creates noise pollution now and who knows what kind of hazards in the future. Our state officials (Jack Brandenburg, Pete Lund & Governor Snyder) all voted YES June 30th, 2011 on the Michigan Zoning Enabling Act HB – 4746 which takes away local control of these types of activities. Our inability to restrict drilling in our neighborhoods can be attributed to these public officials who should never be re-elected. My husband and I just built a new home in the sub very close to this site. We are appalled this is even in question. We have two kids, toddler and newborn, and we moved to this area for our kids well being. That said, if this is allowed, I can already say we will be looking to move out of Shelby. We were unable to attend the meeting. Is there any way we can receive information about what was discussed? To Alecia- I hate to say it, but the Township does not care about you or if you move. Allowing oil drilling / exploration, not communicating with the residents while West Bay set up their rig during evening hours already tells us what the electorate really stand for. It’s clear this ‘investigation’ was arranged behind closed doors and enabled by those already in office despite their claims to the contrary. 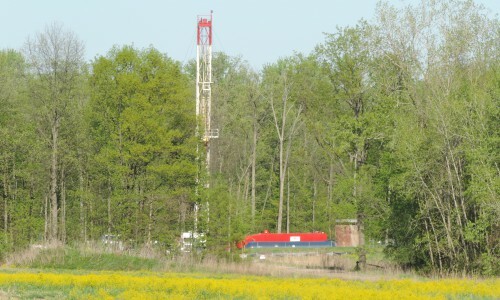 If the State had granted drilling legislation, at the very least the presence of this rig should have been communicated to the residents of Shelby Township. I live near the well site with my wife and young son – and had seen no such communication. Look around this ‘community’. The Township is building just to build and gain more tax revenue, with no regard to preserving the quality of life and nature of this area. Gov. Rick and corporate honchos decide for taxpayers the health, welfare and safety of children and families isn’t worthy of taxpayer approval. 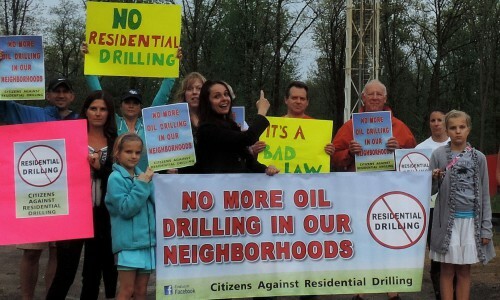 What kind of a government official would allow big oil to drill 600 ft. from a subdivision full of children???? ?